Ingredients: Shea butter, wheat germ oil , rosehip oil and essential oils of mandarin, geranium and lavender. Anti strech marks oil is specially designed to reduce and prevent the formation of stretch marks after severe fluctuations in weight. It contains 100% pure shea butter, wheat germ, rosehip, mandarin, geranium and lavender oils that penetrate deep into the skin whilst nourish and moisturize it for hours. 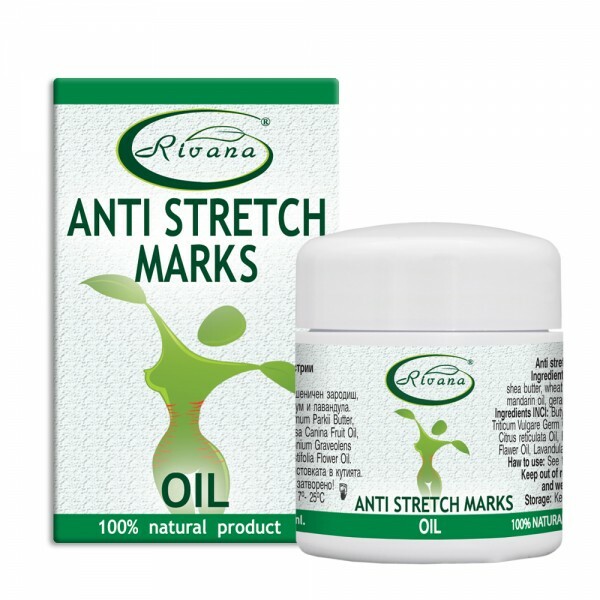 Anti-stretch marks oil, improves sagging skin and reinforce its elasticity. It contributes to a more rapid recovery of the skin while protecting it from drying; the oil hydrates and softens skin. After applying, the oil remains an incredible feeling of smooth, soft and supple skin. Apply on the skin and massage gently. Apply every morning and night, for best results. Warning: Avoid contact with eyes! Keep away from children! Not to be used by children less than 3 years and people with individual intolerance to essential oils. Not to be taken internally!